No Drugs! No Steroid Injections! No Surgery! Chronic pain affects millions of Americans each and every year, making it difficult to enjoy life and complete everyday tasks. From arthritis to back pain sciatica, countless people are suffering through life with pain that doesn’t ever seem to go away, no matter what they have tried. At LaserTech Pain and Back Relief Center, we use highly effective non-invasive methods to get rid of whatever pain that is ailing you. Our procedures have helped countless patients recover from injuries and chronic pain with little to no down time. If you would like to learn more about our alternative pain treatment methods, give us a call at (602) 633-1063. 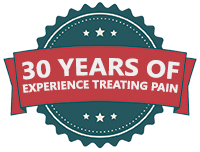 For over 30 years, Dr. Zimmerman has been treating patients who are suffering from chronic pain. He has always believed in finding the root cause of the pain and treating the source. Many people who have chronic pain are often given a copious amount of medications to treat the symptoms, often neglecting to find the underlying cause. At LaserTech Pain and Back Relief Center, our team works hard to find a solution to your pain. If you are ready to rid yourself of any pain, contact our office at (602) 633-1063 to schedule your free consultation.